Last night, President Trump repeated his criticism of the nation’s libel laws. On the one-year anniversary of the release of the Steele Dossier and the day his lawyer sued BuzzFeed News, he wasn’t shy about his desire for the U.S. government to change its laws in order to protect powerful people: “We are going to take a strong look at our country’s libel laws, so that when somebody says something that is false and defamatory about someone, that person will have meaningful recourse in our courts,” Mr. Trump said at the White House. It seems like it was a long time ago now, but I’ve been on the receiving end of a Trump rant about libel. In 2014, I delivered a commentary on CNN about the Donald Sterling controversy, the (now) ex-Clippers owner who was recorded by his girlfriend making racist comments. Trump had been critical of the girlfriend, who was bi-racial, for being tolerant of Sterling while he made racial utterances, and I agreed. I was, however, clear in saying that Sterling was unfit to be an owner and should be stripped of his ownership. The audio is funny to hear because despite saying he’d never heard of me, he perfectly pronounced S-m-e-r-c-o-n-i-s-h. But there was further irony in Trump suggesting I had defamed him. I’m probably the only journalist about whom he might have commented who has litigated defamation actions – not as a defendant, but as a lawyer. Now that he’s president, he still doesn’t seem to understand that American defamation law (libel for the written word, slander for the spoken word) is quite developed and works just fine. The law recognizes the advantages held by someone in Trump’s position, even when on the receiving end of criticism. Common law defamation pertaining to a public figure like the president (or even like me) was established in the landmark case of The New York Times v. Sullivan, decided by the Supreme Court in 1964. The case determined that while a private person need only show negligence (an absence of reasonable care) to be successful in a defamation action, a public figure needs to prove a higher threshold: actual malice. Actual malice is defined as a reckless disregard for the truth or a knowledge of falsity. The idea is that a public figure has a platform available to him or her that a non-public figure lacks. This platform enables that public person to defend themselves against someone’s potentially harmful assertions. Donald Trump is exactly the type of aggrieved party the Supreme Court had in mind when deciding the case, albeit long before there was an Internet. The thinking, however, still makes sense. Who could deny that via his Twitter feed or his own network, Fox News, the president has ample opportunity to set the record straight? In Times v. Sullivan, L. B. Sullivan was the Police Commissioner of Montgomery, Alabama. Commissioner Sullivan believed he was defamed in a March 29, 1960 advertisement in The New York Times which sought contributions to help the Reverend Martin Luther King and others combat a “wave of terror”. Sullivan was successful; a jury awarded him 500k. 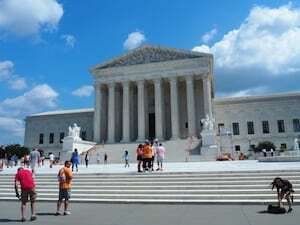 However, the Supreme Court reversed the outcome in a unanimous decision which established the “actual malice” standard. The court didn’t just depend on the First Amendment to make its claim. Brennan also cited the Fourteenth Amendment as proof that public figures face a higher burden. "The constitutional guarantees require, we think, a federal rule that prohibits a public official from recovering damages for a defamatory falsehood relating to his official conduct unless he proves that the statement was made [*280] with "actual malice"--that is, with knowledge that it was false or with reckless disregard of whether it was false or not.” An oft-cited statement of a like rule, which has been adopted by a number of state courts,20 is found in the [***707] Kansas case of Coleman v. MacLennan, 78 Kan. 711, 98 P. 281 (1908). The State Attorney General, a candidate for re-election and a member of the commission charged with the management and control of the state school fund, sued a newspaper publisher for alleged libel in an article purporting to state facts relating to his official conduct in connection with a school-fund transaction. The defendant pleaded privilege and the trial judge, over the plaintiff's objection, instructed the jury that "where an article is published and circulated among voters for the sole purpose of giving what the defendant [*281] believes to be truthful information concerning a candidate for public office and for the purpose of enabling such voters to cast their ballot more intelligently, and the whole thing is done in good faith and without malice, the article is privileged, although the principal matters contained in the article may be untrue in fact and derogatory to the character of the plaintiff; and in such a case the burden is on the plaintiff to show actual malice in the publication of the article." "It is of the utmost consequence that the people should discuss the character and qualifications of candidates for their suffrages. The importance to the state and to society of such discussions is so vast, and the advantages derived are so great, that they more than counterbalance the inconvenience of private persons whose conduct may be involved, and occasional injury to the reputations of individuals must yield to the public welfare, although at times such injury may be great. The [**727] public benefit from publicity is so great, and the chance of injury to private character so small, that such discussion must be privileged." "In such a case the occasion gives rise to a privilege, qualified to this extent: any one claiming to be defamed by the communication must show actual malice or go remediless. This privilege extends to a great variety of subjects, and includes matters of [*282] public concern, public men, and candidates for office." 78 Kan., at 723, 98 P., at 285. Such a privilege for criticism of official conduct21 is appropriately analogous to the protection accorded a public official when he is sued for libel by a private citizen. In Barr v. Matteo, 360 U. S. 564, 575, this Court held the utterance of a federal official to be absolutely privileged if made "within the outer perimeter" of his duties. The States accord the same immunity to statements of their highest officers, although some differentiate their lesser officials and qualify the privilege they enjoy.22 But all hold that all officials are protected unless actual malice [***708] can be proved. The reason for the official privilege is said to be that the threat of damage suits would otherwise "inhibit the fearless, vigorous, and effective administration of policies of government" and "dampen the ardor of all but the most resolute, or the most irresponsible, in the unflinching discharge of their duties." Barr v. Matteo, supra, 360 U. S., at 571. Analogous considerations support the privilege for the citizen-critic of government. It is as much his duty to criticize as it is the official's duty to administer. See Whitney v. California, 274 U. S. 357, 375 (concurring opinion of Mr. Justice Brandeis), quoted, supra, p. 270. As Madison said, see supra, p. 275, "the censorial power is in the people over the Government, and not in the Government over the people." It would give public servants an unjustified preference over the public they serve, if critics of official conduct [*283] did not have a fair equivalent of the immunity granted to the officials themselves. We conclude that such a privilege is required by the First and Fourteenth Amendments."